CHICAGO (Yep, I’m still here) — I think I have a mental list of people I wish I’d bump into when I am here in the States. And while I am Chicago, of course, I would want to meet one of the city’s most prominent residents, Oprah Winfrey! Of course, Oprah has served as an inspiration to many people, media practitioners included. And, she is a person who has striven to elevate the standards of television all over. If only there is someone like her who will rock the boat of Philippine TV! Anyway, Oprah, for me, a very credible endorser. When she shares with us her favorite things, we all stop and listen. Now, one of the simpler things she mentions is the Chicago-style popcorn sold in the city by the Garret Popcorn Shops. The journalist that I am at heart, of course, I investigated why this place became not only her favorite — but the instant favorite of everyone who visits. 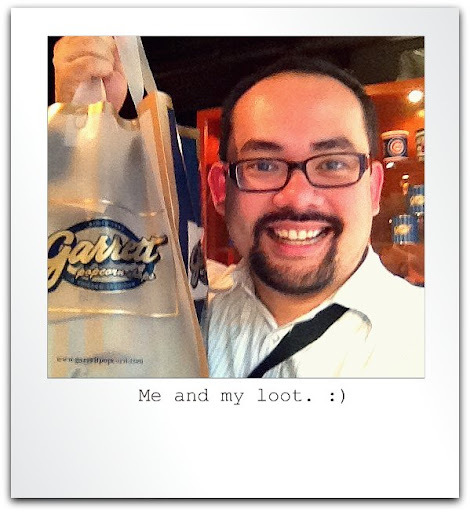 Garrett’s has been in business since 1949! They actually have at least 10 branches within the Chicago area. However, the real action happens at their Michigan Avenue (Magnificent Mile) location. It has the longest line. And it has been widely said that you can smell the aroma of popcorn several meters away. As for me, I went to their location on West Randolph Street, still in downtown Chicago, to avoid the long lines. 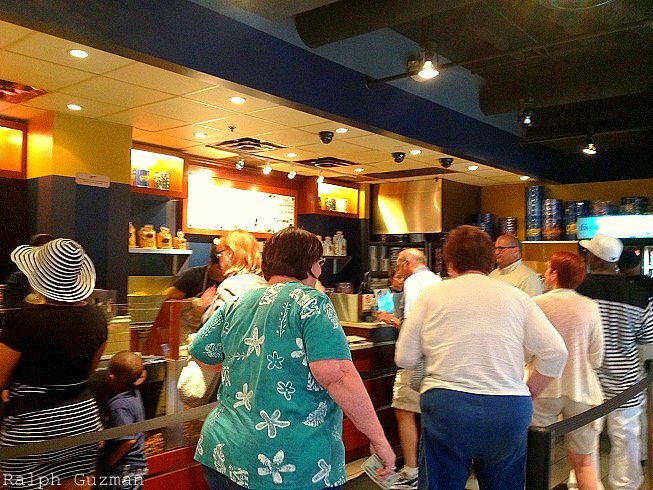 There was still a bit of line when I arrived, but the staff were very efficient at getting orders. While they have different flavors — almond caramel crisp, pecan caramel crisp, buttery, etc. — the must-try for any newbie is their signature Chicago Mix. 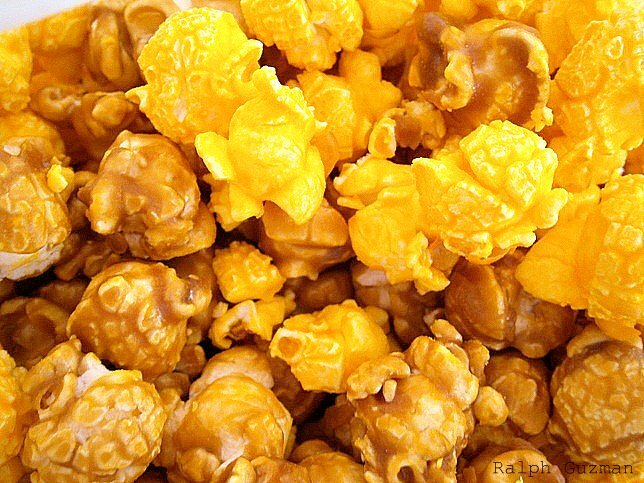 It’s a blend of their caramel crisp and their cheese corn. Now, doesn't this make you hungry? I would have to say, it is the most exquisite popcorn I have tasted to date. I love the contrast between the sweet and salty. The cheese flavor– it’s oh so creamy. And the caramel had just the right amount of sweetness. The popcorn is freshly-made, so it also has the right amount of crunch. No wonder why this popcorn has become part of the to-do list when visiting Chicago. 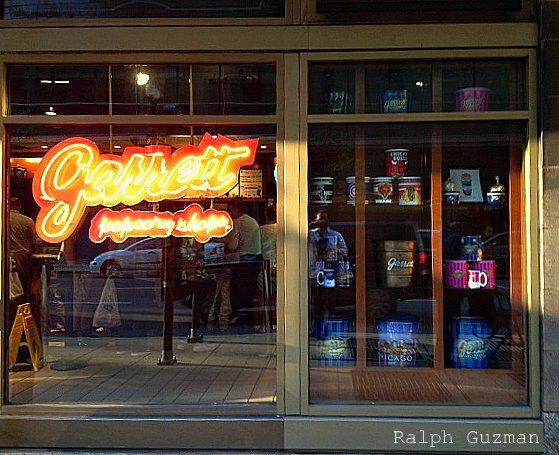 Garrett’s is a takeout place, so you’ll need to go elsewhere to enjoy the popcorn. I ate mine at a restaurant while waiting for my food– and back at the hotel. In fact, I’m still nibbling on it as I write this. Hahaha! I ordered a medium-size popcorn (good for 2 to 4), which cost me about $6.00. You can get a smaller size for just $4.00. They usually pack the popcorn in a paper bag, but you also have the option to have them put everything in a tin can, which is pretty convenient. 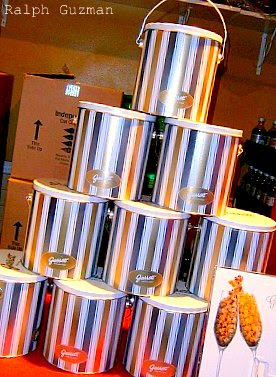 For more information about Garrett Popcorn Shops, you can visit their website. They have branches in Chicago and New York. And the good news– they also have branches in Singapore, Hong Kong, Malaysia, and Dubai. This entry was posted in Products & Services, Rated by Ralph, Travel and tagged Chicago, favorite popcorn of oprah, Garrett Popcorn, Garrett Popcorn Chicago, garrett popcorn dubai, garrett popcorn hong kong, garrett popcorn malaysia, Garrett Popcorn Shops, garrett popcorn singapore, Oprah favorite popcorn, oprah's favorite popcorn, ralph guzman, RatedRalph, RatedRalph.com by Ralph. Bookmark the permalink. ← Previous Previous post: Portillo's Chicago Dog: A Must-Eat!